Pro Street/Bracket Race, good intake, headers, gear, 3200+ stall converter. Does COMP Cams 11-254-4 fit your vehicle? 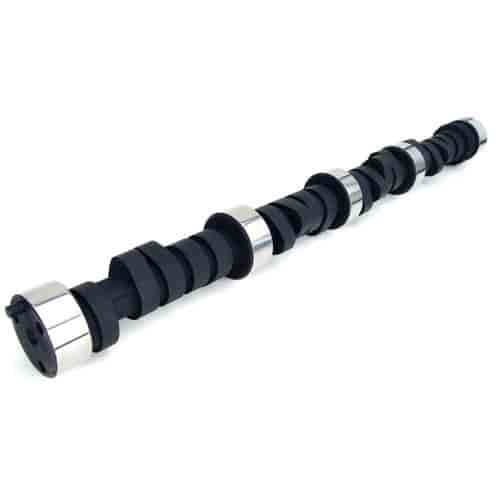 11-254-4 - Comp Cams 'Xtreme Energy' Hydraulic Flat Tappet Camshafts is rated 5.0 out of 5 by 1. Rated 5 out of 5 by Hayden454 from I installed this cam in to my 468 chev bb.1050dominator,2"spacer/adapter,holly strip dominator intake,eddelbrock rpm heads small chamber with 2.25/1.88valves,trw pop up forged pistons,h/d chev rods,h/d chev forged steel crank.this engine combo loves this cam the power is ridiculous.I drove this combo on the street tuned by feel and ear cam installed dot to dot.now have engine in another project car.